It all started in 2004 as a one-day sale for local artists to peddle their creations to people shopping for unique, handmade holiday gifts. Initially known as Bazaar Bizarre, the Cleveland Bazaar began without much fanfare in artist Derek Hess’ studio (located in what is now known as 78th Street Studios). Indeed, things have changed. 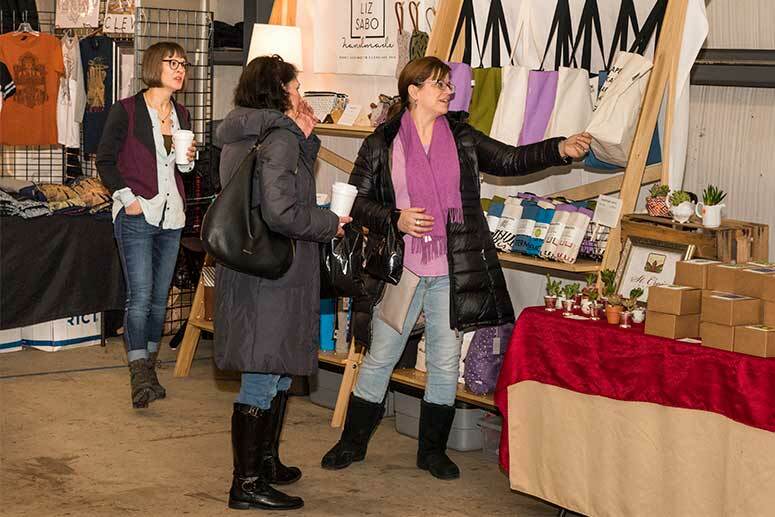 Fourteen years later, the Cleveland Bazaar has evolved into Cleveland’s longest-running independent craft show—hosting events not just during the holidays but year-round, and drawing hundreds of artist vendors and thousands of attendees. 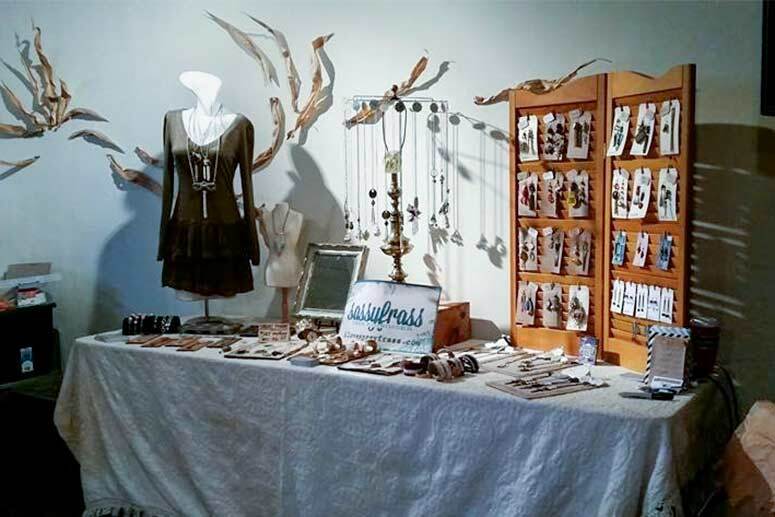 The vendor base has grown from just a couple dozen during the first holiday show to more than 70 artisans, taking over all four floors of 78th Street Studios’ 170,000-square-foot space each December. And the Bazaar now extends past the holidays. 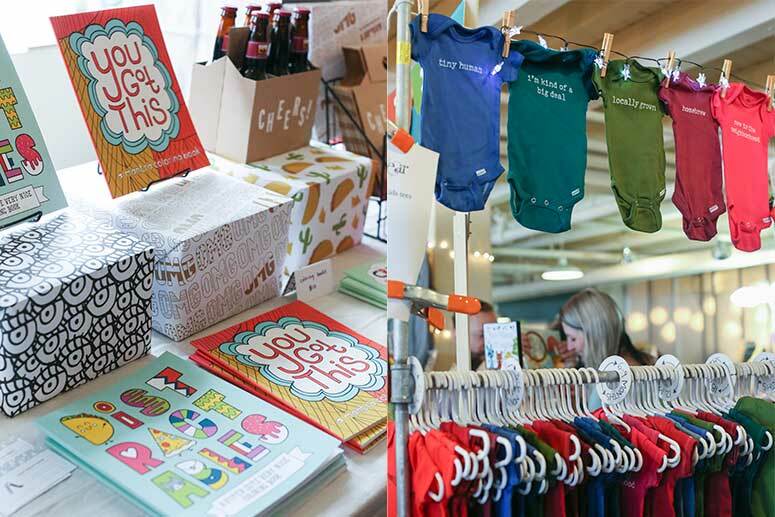 Okey now organizes Cleveland Bazaar events throughout the year—from additional winter holiday shows like Wintertide at Gordon Square and Winterfest 2017 at 5th Street Arcades to the recent Valentine's Day event at Lake Affect Studios. There are also bi-monthly events throughout the summer at Market Square Park—for which Okey is currently accepting applications through March 1. FreshWater looks at what has made the Cleveland Bazaar such a success in the city. In addition to a dedicated maker community and a loyal customer base that appreciates handmade crafts, it is Okey’s dedication to the Cleveland Bazaar, the City of Cleveland, and growing entrepreneurship that has fueled the growth. Cleveland Bazaar has its roots in the original Boston Bazaar Bizarre, which began in 2001 among a group of friends looking for a way to sell their crafts for the holidays and put on a counterculture entertainment festival. Okey, a Cleveland native who also owns Cooperative Press, was involved with the Boston show when she decided to return to her hometown. The original founders didn’t mind at all, so Okey organized the first Cleveland Bazaar. Kinsinger, who makes asymmetrical earrings—each one unique—from architectural objects she finds at flea markets, antique shops, and even “the side of the road if it looks cool,” had been following Bazaar Bizarre in Boston and San Francisco when she learned from crafting chat rooms and art forums on AOL that one was starting in Cleveland. 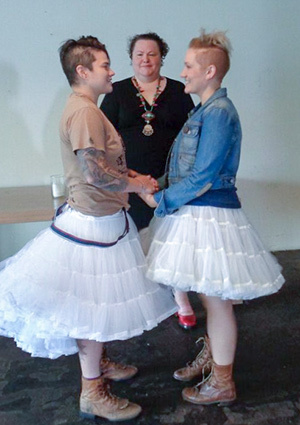 Jess and Darcye were married at the Bazaar by Shannon OkeyFourteen years later, she can’t imagine her artistic career without the Cleveland Bazaar. “It always feels like going home for me,” says Kinsinger, who also works at the Cleveland Clinic’s Green Roots Collection and raises her 14-year-old son, Gryffin, with her wife, Darcye. (The two first met 10 years ago in Kinsinger’s Bazaar space and were married in the same spot by Okey six years later). In 2013, Okey changed the name from Bazaar Bizarre to Cleveland Bazaar. Today, many of the bazaars in other cities have disappeared, while Cleveland is only growing. A booth at Cleveland Bazaar event is often just the first step into a full-blown business, says Okey, who cites successful companies—like Cleveland Clothing Company, Oceanne, or We Bleed Ohio—that got their starts as vendors at Cleveland Bazaar and turned into full-fledged brick-and-mortar small businesses. Okey sees herself as not only the organizer behind Cleveland Bazaar, but also as a resource for artisans looking for grow their businesses. In 2016, she started Retail Lab at Legacy Village and in Tremont to give vendors a taste of traditional retail. While Okey sees the Cleveland Bazaar as a good way to show off the region’s maker movement, she also sees the potential economic impact for the city. She has worked with city council­—particularly councilmembers Matt Zone and Kerry McCormack—in ensuring fair conditions for the vendors. “It’s an economic development job more than a crafts job,” Okey says of her role. When the city was enforcing a vendor license ordinance designed for roving street vendors—charging $70 for vendors at events like the Cleveland Bazaar, Night Market, and the Cleveland Flea—Okey went to work. “This permit was never designed to target vendors like ours, who hold a variety of other permits already,” explains Okey. “No other city or municipality in the state does this.” So Okey went to Zone and McCormack, as well as council president Kevin Kelley, and got the ordinance changed. Additionally, Okey is creating a non-profit arm of the Cleveland Bazaar, in which she plans to help interested vendors improve their business models, work on packaging and marketing, and get other help in growing their small businesses. Okey attributes at least some of Cleveland Bazaar’s success to being in the heart of the Rust Belt, where people embrace the region’s reputation for hard work and, well, making things—whether it’s industrial manufacturing like steel and autos, or handcrafted works like coffee tables, confections, and clothing. It’s not just Cleveland that embraces the maker movement. Okey says other nearby cities in the Rust Belt only fuel the movement. “I absolutely consider Cleveland a maker city, not to mention the wider Rust Belt region,” she says. “Akron, Pittsburgh, Toledo, Detroit—their maker communities are very similar to ours, and we definitely have a lot of crossover with makers doing events in all the various cities throughout the year." And many of those cities can thank Cleveland Bazaar for helping put Midwest makers on the map.